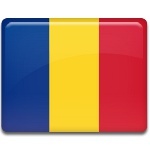 May 10 is Independence Day in Romania. Although the holiday celebrates one of the major events in the history of Romania, Independence Day is a working holiday. Romania officially gained independence from the Ottoman Empire in 1878 after the end of Russo-Turkish War. At that time Romania fought on the side of Russia. After the victory of Russia in the war Romania was recognized as an independent state. The independence of Romania was recognized by the Ottoman Empire and the Great Powers. The new Kingdom of Romania was established. In fact Romania should celebrate Independence Day on May 9, since it's the date when Mihail Kogălniceanu, the leader of the National Liberal Party and Foreign Affairs Minister declared the independence as the will of the Romanians in the Romanian parliament. However, the act was signed by Prince Carol I only on May 10, thus scheduling the holiday to this day. Although the act was signed on May 10, sometimes May 9 is considered as Independence Day, or the day when the Romanian nation was born.